Are you planning on applying to a job opening abroad? If that's the case, you should start thinking of learning a foreign language because it will improve your career prospects. Although learning a foreign language takes time and dedication, if you’re planning to live abroad, doing so will make you more competitive in the job market. Not only are language skills highly prized by employers, but they also help you to integrate into your new life abroad. But how exactly does learning a new language improve your career prospects? The US healthcare, social service and public service industries, in particular, have been prolific in hiring bilingual workers. The same is happening in other countries around the world. Before you move abroad, investigate which industries offer opportunities for people who speak more than one language. When you’re searching for a job in your new country, solid language credentials will impress. You’d do well to highlight the fact you took French courses in London or Chinese classes in Beijing on your résumé. While there has always been demand for bilingual people, globalization has led to a dramatic increase in this demand in recent years, with more and more businesses setting up offices abroad and doing business with foreign clients. Learning a new language boosts your overall ability to communicate. Recent studies have found that people who learn additional languages become more eloquent in their mother tongues. In other words, understanding the different nuances of German, French or Japanese can actually improve your English and help you become a more effective communicator. Mention these points at interviews, as the transferable skills you acquire when you learn a new language are valuable to employers too. Explain how you’ve noticed a significant improvement in your own ability to focus, manage tasks and communicate clearly with your colleagues. The latest studies also have established a link between bilingualism and multi-tasking – bilingual workers are generally better able to multi-task in their everyday lives than those who only know one language. Similarly, it has been shown that bilingualism can bolster the ability to focus in the face of distraction, to decide between the alternatives offered and disregard irrelevant information. 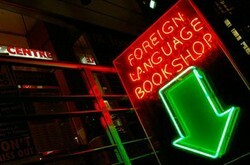 New research has revealed that those in the US can earn up to 20 percent more when they master a foreign language. Because only around 9.3 percent of North Americans are bilingual (the figure in Europe is much higher), there is a high demand from US multinational companies for workers who speak more than one language proficiently. This is useful to keep in mind when going to interviews in your new country. Talk about how you have used your language skills in professional situations before – to smooth relations with a client or to explain a process to a team abroad. Connect the dots for them and make them see how your foreign language skills can help boost their bottom line. Why not take steps to learn the language before you move abroad? To meet the growing demand for bilingual professionals, language schools have appeared in increasingly large numbers in all major cities around the world. So, wherever you’re based, you can get started learning the basics of the language you’re interested in – for Italian lessons London is home to many excellent learning centers, while for Spanish lessons Chicago can offer many quality options. It’s just a matter of checking out the local options and taking your pick. Which language should you consider first? Which language do you think is the most important in the business world today? Of course, immersion remains the most effective way to learn a language, so look for audio and video resources online and try to find local cultural centers where you might meet native speakers. Happy learning! The foreign language Internet makes going global with your business a lot easier than you may have imagined. Native speakers of English have a great advantage. Learning English at our mothers’ knee is almost like being born able to do algebra. I'm learning English in Manchester and I think that learning a language gives you a lot more opportunities! I'm thinking of learning another language and Arabic is one of the possibilities. I really like this article. I strongly encourage anyone who doesn't speak a second language to do so...it opens up so many opportunities for both work and travel. I have been thinking of giving a try to Mandarin Chinese but I guess it will be really hard for me to speak correctly :( Do you think I should try it anyways?